Three years ago, I switched from Google search to Bing. There, I said it. No longer do I Google something; I Bing it. And I haven’t looked back since. Maybe you’re considering doing the same, either over ire about the recent diversity-memo controversy, or some other aspect of the search giant that has rubbed you the wrong way. Here are some points to consider. The move away from Google wasn’t easy. Sometime in the late 1990s, I was invited to test out Google’s search engine. I moved from poring though filing cabinets to typing queries in a search box. If it was out there on the web, Google promised that it would find it. Over the years, Google became smarter and more responsive. Google Instant auto-suggested search results before I finished typing them. “Google it” became part of my vernacular. Meanwhile, Microsoft’s Bing search engine was getting no respect. Bing it? Please. But Bing doggedly continued to improve. It added social connections and “cards” identifying key topics and related searches. It improved speed and reliability. Then one day, when I wanted to dig up older stories I had written using Google’s search engine, I found I had better luck finding them using Bing. 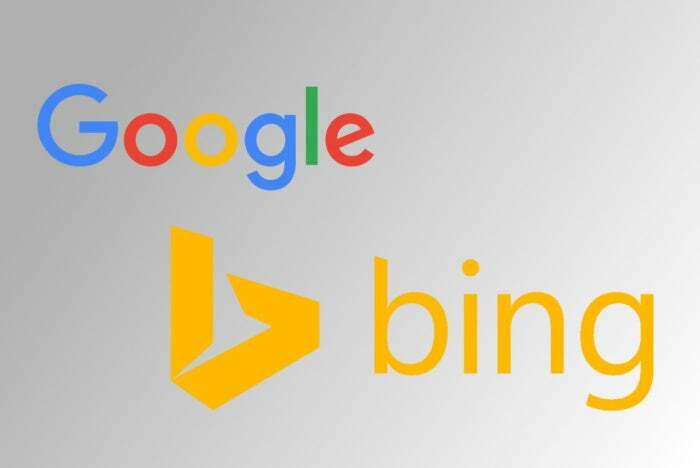 Switching from Google to Bing search is easily done in just a few seconds. I provide instructions at the bottom of this story. 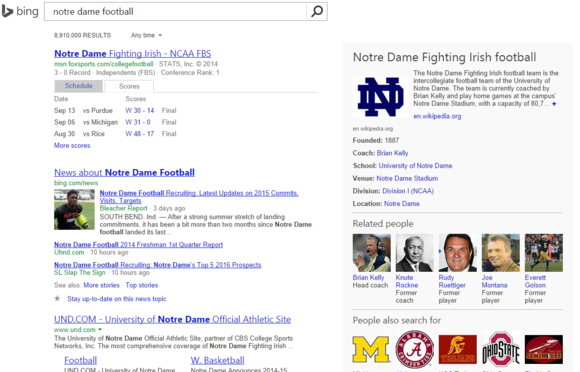 But before that, here are some of my favorite (and yes, even bizarre) reasons to switch to Bing. I’m cheap. I’ll generally pass up a $12 artisanal beef slider at the food trucks near my office in favor of a less expensive salad that could stuff a throw pillow. I often wear the same pants two days in a row to save on my water bill. I use coupons. 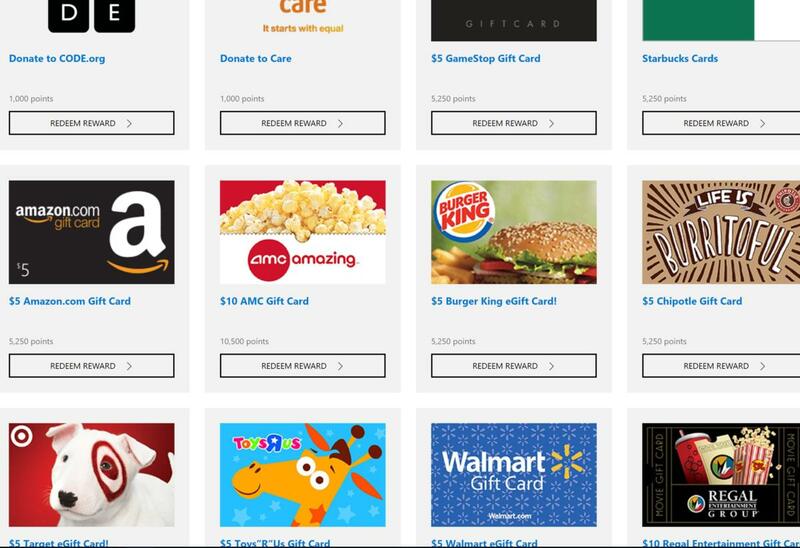 Just some of the things you can redeem your Microsoft Rewards search points on. 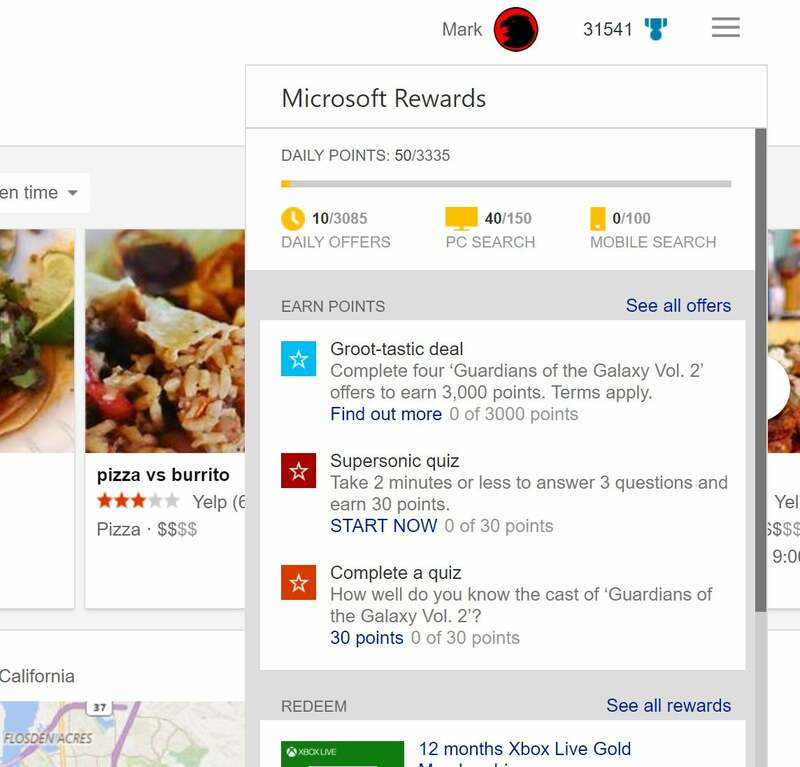 The concept behind Microsoft Rewards (formerly Bing Rewards) is simple: As you search, Microsoft gives you points. If you have a Microsoft account (you do have a free Microsoft account, right?) you can earn five points per Bing search on a desktop PC, up to 150 points per day. In the same way, you can earn up to 100 points per day on mobile, with five points credited to you per search. (Don’t worry if these numbers don’t quite match up to what you see, as Microsoft tends to vary the values every so often.) Bing searches are automatically triggered via Cortana on a Windows Phone, or the Bing Search app for Android or iOS. If that isn’t enough, you’ll automatically accumulate points by using the Windows 10 Edge browser, up to 900 points per month. And if that isn’t enough, you’ll get a point for every dollar you spend on the Microsoft Windows and Xbox online stores, or in a brick-and-mortar Microsoft Store location. The best part? The points can be redeemed for things you’ll actually use. If you want even more points, take five minutes out of your day to check out the rewards and quizzes Microsoft Rewards offers. For roughly 475 credits—again, the value varies—Microsoft will give you $5 to spend at Amazon, or Target, Burger King, Starbucks, or other merchants. You can also redeem your rewards for a nice 5% coupon at the Microsoft Store, discounts on Windows apps, or even a free month of Xbox Live Gold. Use Bing frequently enough, and you can climb your way up to Silver or Gold status, which confers a “discount” on points redemptions. And this is all for simply using Bing during the course of your day. And if you want even more points, you can visit Bing.com or click the Microsoft Rewards “medallion” icon for quick quizzes and suggested searches. It all adds up quickly. And don’t worry: Using Bing doesn’t prevent you from using other Google services, like Gmail, as often as you’d like. 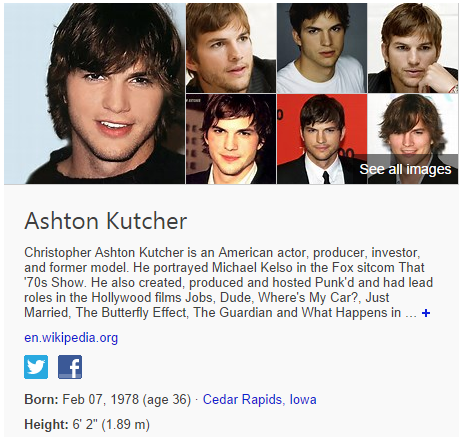 Bing’s lead widens when you search for celebrities, as it includes videos as well as images and biographical information. And though Microsoft could do a better job of highlighting this information, Bing provides one-click links to a celeb’s social media pages for what they’re thinking about, right now. There are exceptions, of course. But, in general, Bing performs as well as Google on most of my common, day-to-day searches. That goes for image searches, too. Bing was first to implement the “infinite scroll” in Bing Images, where users could simply scroll and scroll and never reach the “end” of their search results. 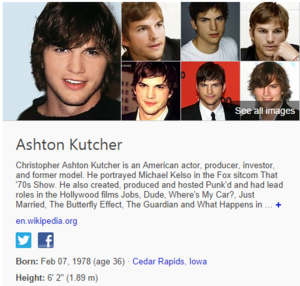 Today, Bing’s image search adds an extra layer of search filters that Google users must drill down to find, including options to show only pictures with faces, for example, or display images in a particular layout. And if you need to find a licensed photo to illustrate a newsletter, Bing makes that information more easily accessible than Google does. Bing’s Image Search page is attractively formatted, with lots of jumping-off points for further exploration. About the only reason to use Google’s image search is if you’re hunting down animated GIF images, as this is an option Bing has yet to offer.